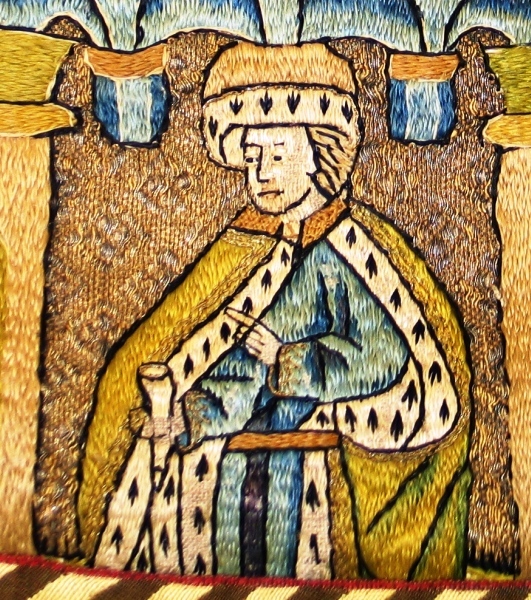 St John's is very fortunate to possess a medieval chasuble. It is thought to have been made towards the end of the fifteenth century, and is a remarkable survival from this period. Its history is difficult to trace through the reformation when most vestments of this type where destroyed or lost, but it is thought that it arrived in St. John's in the middle part of the nineteenth century. 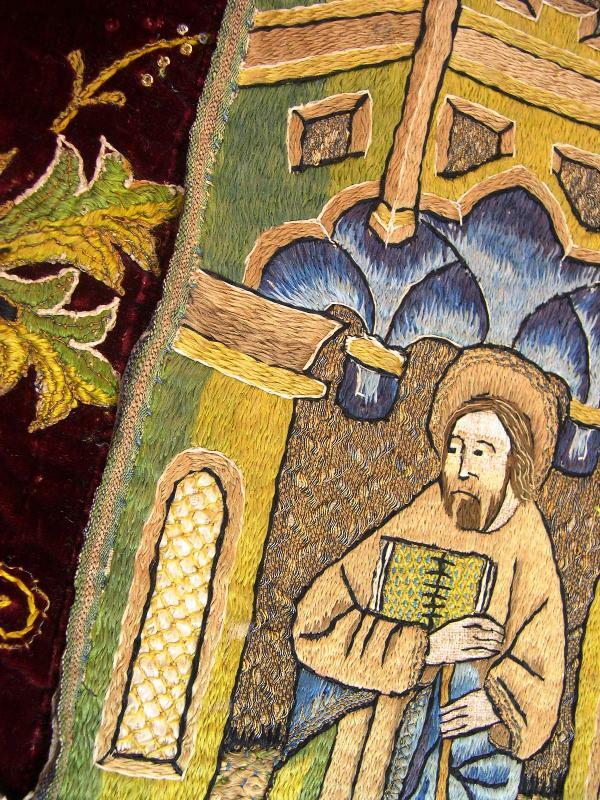 Use and age contributed to the deterioration of the vestment and it became necessary for it to undergo a thorough restoration and conservation. Under the guidance of professionals, volunteers from the parish undertook this work, and the chasuble is now proudly on display at St. John's, a witness to the dedication of Catholics throughout the ages. 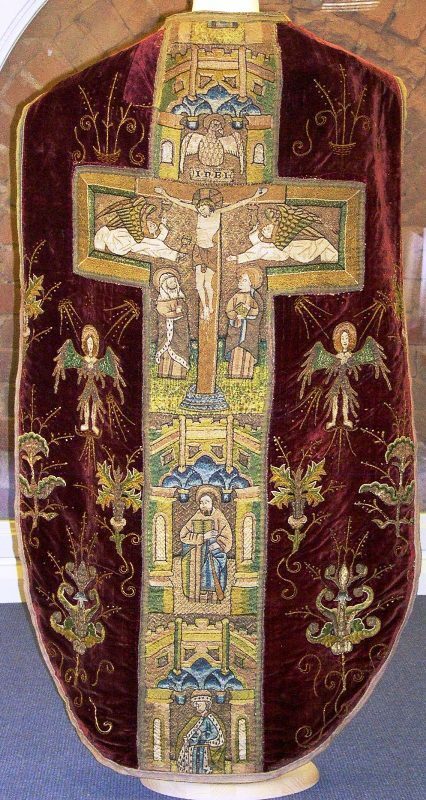 A fuller record of the history and restoration can be downloaded here, and the chasuble can be viewed at anytime when the church is open (most days).